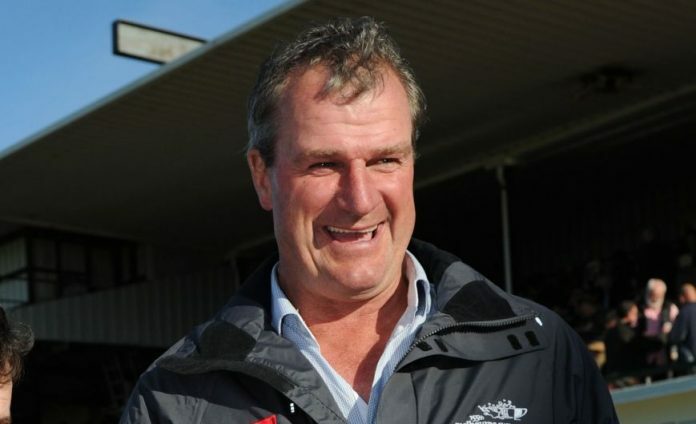 The dominance of Darren Weir continues unchecked. He yet again leads the Victorian metro premiership with 46 winners this season to date, already nine clear of his chief rivals in the Hayes/Hayes/Dabernig camp despite a similar amount of total metro starters. It’s just about all been written about Weir, so we thought we’d ask a couple of clued-up types for their thoughts on his success. Some very interesting themes came through regarding the advantage of having various properties and the ability to get horses in a winning mood – as well as some insights into an extraordinary work ethic. As somebody who’s been watching and rating every race in Victoria for over fifteen years, Trevor has seen the development of Weir’s stable into the mammoth operation it is today. “I reckon he’s particularly good firstly because he’s a farrier by trade and therefore a real horseman. “He gets his horses very fit and has a good knack of getting older horses keen on racing again. “He seems to bring 1600m and above horses along a bit slower, so they’ve a solid base of fitness behind them before they hit their peak. That allows him to get a lot of runs in a prep out of certain horses. “He’s good with tried horses. They all generally had ability before coming to him, and with his different stables he can mix up their work, between swimming, hill work etc. It seems to stimulate them and just get them back to enjoying themselves. “He strips all the gear off them and just gets them happy and keen on running again. That’s what I mean – he just seems like a real horseman who knows how to get them happy. As one of the main men behind ownership group and syndicator Australian Bloodstock, Luke has a great record of finding the right horses and winning big races, including the 2014 Melbourne Cup with Protectionist. All of Australian Bloodstock’s Victorian-based horses are under the care of Weir, which gives them a great insight into his training methods and habits. “I think the fact he has a range of different properties is completely underrated and is something that’s been missed by most others. “If you look at his routines and how he trains horses, I think a lot of it comes down to the horse’s mentality. They’re constantly moving, they’re at a different location and doing something different all the time. “It’s great to have those options and I think that’s why the horses stay up for so long… they’re stimulated mentally. Having had a lot to do with some really good trainers in Europe, they think it’s 75% of training just getting them stimulated. Then anybody can get them fit. “They don’t have two or three gallops a week on the grass for example. They do lots of swimming, lots of beach work and lots of sand work which breaks it all up. It’s completely different to just doing constant breeze-ups and it’s got to help keep the horses happy and stimulated. All the different unique training bases are a huge part of it I think. “He’s got a real knack of knowing exactly where a horse is at. I’ve seen them get beaten by fifteen lengths first-up, and he won’t be at all concerned and says it’ll win fourth or fifth-up – and it does. He really knows when and how to have them peaking and what they’ve got under the bonnet. “He’s also very astute and particular at placing horses properly. Unless it’s a big race, it’s usually pretty rare that he has 5, 6 or 7 horses in a race, even though he has such huge numbers in the stable. He’s got those options, be it in Melbourne, Adelaide or the occasional one in New South Wales. I think he places them well, he doesn’t get lazy and just go for the same tried option in terms of races. We also asked Luke about being an owner with Weir, and got some insight into his focus. “I think many people would ask how he can be doing the job properly given how many horses he’s got. The same could be said of Waller and all the big stables over the years. But having had a fair bit to do with him now, I’ve never seen a bloke in any job work as many hours or as hard as he does. “It’s not going to suit every owner, there’s plenty who want a “yes sir, no sir” type, and that’s something he doesn’t really do. But as a syndicator putting people into horses, the biggest thing I’ve got to be able to say is that you can trust the trainer. “The two guys we use, both Kris Lees and Weiry, are extremely honest and down-to-earth. They don’t actually come across as calculating businessmen, but more as just really helpful types. I think that’s just his persona and just who he is. And I think that comes across very quickly if you have anything to do with him. “He’s not somebody to wine and dine clients. He just treats everybody the same, whether you’ve got one horse or 100 horses at the stable. I reckon he’d far prefer to be checking a horse’s legs than be at a function networking. It’s just who he is I think. “If you do want to get him on the phone it won’t be instantaneous, but you really want him looking after your horses and not handling the business as much. “That’s what I pay for anyway. If you do need to chat to him he’ll call you back but it might be at 11pm at night, which is pretty staggering when you consider he’s probably up at 2 or 3am! And that’s seven days a week. It’s almost like he’s addicted to the work. He obviously enjoys it so much to be doing that. “For example we’ve probably got 60 or 70 horses there, and I can ask him about one – and I’m not talking about the Tosen Stardoms etc., but a horse that may not have raced or is a six-start maiden. But give him the stable name and he’ll know about his feed last night. And he’s saying this while he’s driving, not after he’s checked a book and got back to you. “He seems to know little idiosyncrasies of each horse that you could really only know if you’d spent time with the horse. I can rattle 40 or 50 horses off, it’s like listening to the Rain Man. “Other bigger trainers probably have teams underneath them who each look after their own sets of horses, like a CEO, but Weiry is just like the Energiser bunny, he just keeps going and going and sees everything himself.